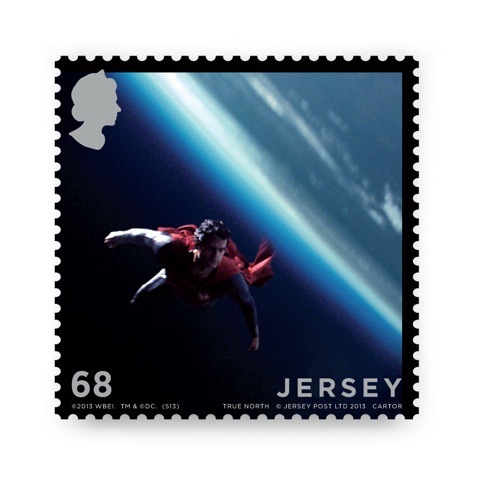 The set celebrates Channel Islands-born actor Henry Cavill’s new role as Superman in the Warner Brother’s Man of Steel film, which is released in the UK next week. 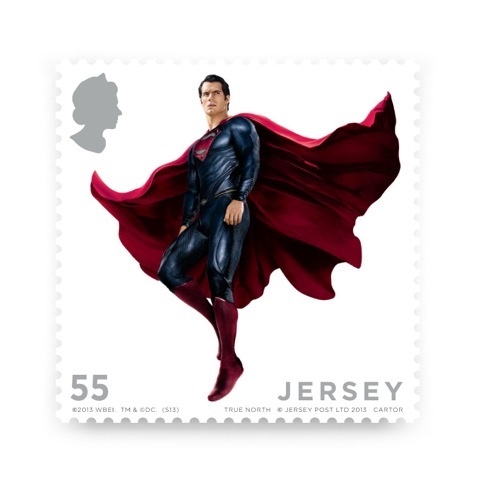 True North was appointed to the project following work on Jersey Post’s Edward VII stamp series. 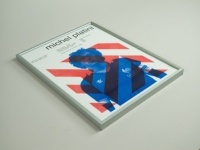 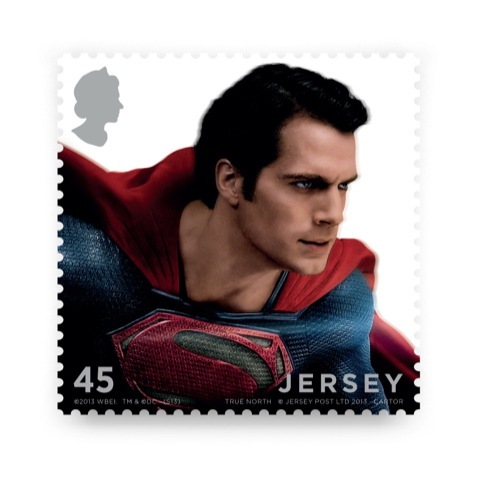 Each stamp uses a different finish or feature, such as a heat-sensitive stamp printed with thermochromic ink, which unveils the earth behind the Man of Steel figure when warmth is applied. 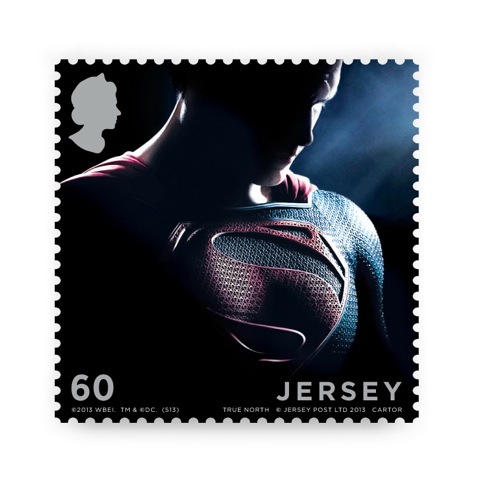 A foil stamp uses flat simili silver foiling, aiming to ‘reflect the Man of Steel’s incredible strength’, according to True North. 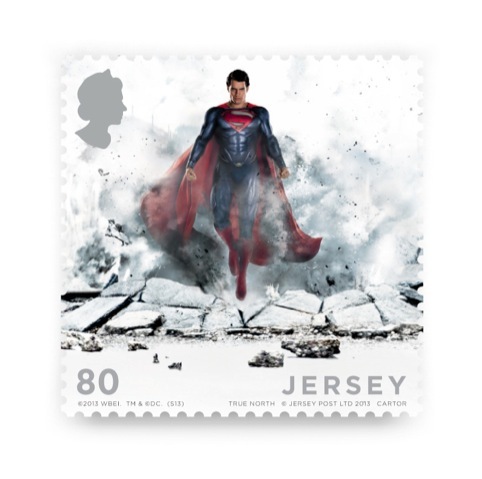 The transparent stamp shows Superman’s ability to fly, while his strength is shown in a thermographic stamp depicting crushed granite from Beauport Bay, which True North says is ‘Henry Cavill’s favourite spot in Jersey’. 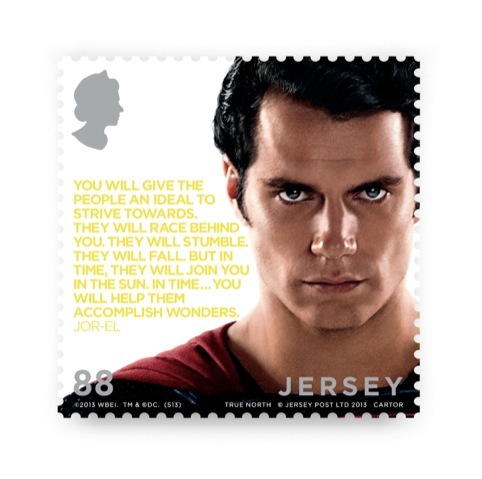 Augmented reality is used with the Smartsy app on the 45p stamps, and another stamp uses glow in the dark ink to reveal Superman’s Kryptonian father Jor-el. 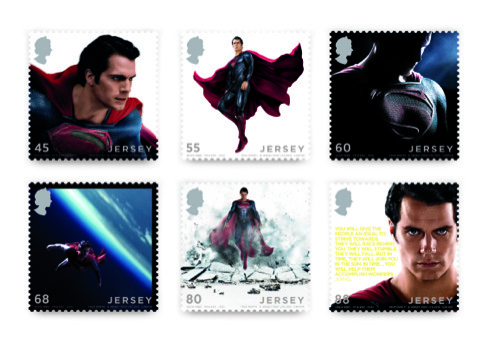 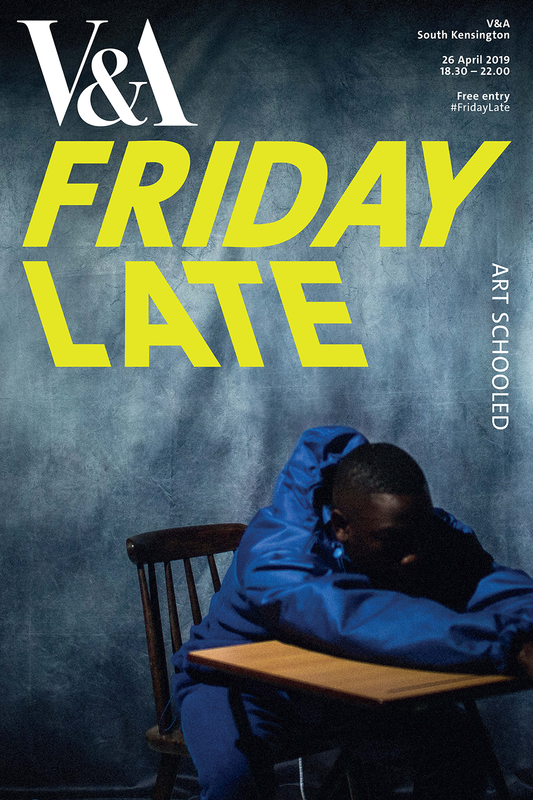 The consultancy also worked on a marketing and digital campaign to promote the stamps, which are available from this Friday.